Contrary to popular belief, more often than not a primary residence is not a performing asset. On today’s show, we’re going to ask you to challenge your mindset when it comes to being a homeowner. 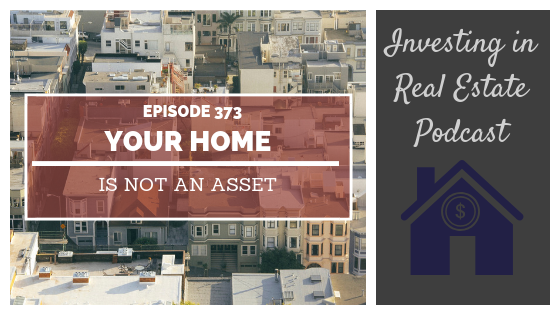 On this episode of Investing in Real Estate, Natali and I are sharing three key questions you can use to determine if your home is a performing asset. You’ll learn why the American Dream is a lie, how to truly build wealth, and how to get out from underneath the weight of your mortgage! What your mortgage truly consists of. How to determine if something is an asset. Why it’s important to work with a smart CPA. The biggest expense that most people have. How to learn more about paying off your mortgage. Some creative ideas to turn your home into a performing asset.